Cherese started teaching at Woodland park Middle School in 2004 after graduating from Indiana State University with a Bachelor of Music Education. Currently she teaches a beginning, intermediate and advanced choir, guitar and a hand chimes choir. She had the opportunity to teach in Kumamoto, Japan for a year in 2008. There she taught English to elementary and junior high school students through the JET Program. Even though she enjoyed her time there, she is very happy to be back teaching her passion, choral music. She has been a member of the All State Board since 2012. ​Nathan Wubbena is currently the choral director at Sunset Middle School in Longmont and director of Volante with the Boulder Children's Chorale. He received his Bachelor in Music Education from the University of Northern Colorado in 2011. Since graduating, he has taught students from elementary to high school, both on the Front Range and Western Slope. He is currently working on completing his Master of Music in Music Education with a Conducting Specialization at Colorado State University. Mr. Wubbena was a founding board member of CMASC. Abby Martinez is in her eighth year teaching at Erie Middle School, where she directs grade level, Select Women's and MAN Choirs. She graduated from the University of Colorado at Boulder in 2010 with a Bachelor of Music Education. As a founding member of the CMASC Board, Abby was the board Secretary for four years before stepping into the Co-Chair role from 2015-2017. She has served as a guest clinician and adjudicator across Colorado. She recently moved to Erie, CO with her husband, Jeremiah, toddler, Charlotte, and crazy Weimaraner, Harper. William Ecker is the new assistant choral director at Fort Collins High School. Prior to this, Ecker worked in CMEA district 3 for six years at Weld Central Middle School and recently completed his master's in choral conducting at the University of Northern Colorado. He received his Bachelors of Music Education with a vocal emphasis in 2008. Emily Martin received her B.A. in Vocal and Instrumental Music Education from Adams State College. She has spent 35 years teaching public school music, including elementary general, band, high school choral and 16 years as choral director at Louisville Middle School in Boulder Valley. She founded the East Boulder Valley Middle Level Honor Choir, and has guest conducted and served as adjudicator at several middle school choral festivals. Currently, she is co-chair of the Colorado ACDA Board for Middle School Repertoire and Standards. She is retired as of June 2013, so is excited to have much more time to work on the new All State Middle School Choir Board! Deanna Kraft began teaching at Rocky Heights Middle School in Highlands Ranch in 2013, where she teaches 7th/8th grade choir, 6th grade vocal music, and guitar. She graduated from Colorado State University in Fort Collins in 2013 with a Bachelor of Music Education and a Performance Certificate. Deanna also loves performing regularly with the Colorado Symphony Chorus. Kyle received his Bachelor's Degree in Music Education from the University of Northern Colorado in 2016. Kyle taught band and choir at Weld Central Middle School for two years and is currently teaching choir at Everitt Middle School. Clare is the choir director at Laredo Middle School, where she has been teaching since 2009. She holds a Bachelor of Music degree in education from University of the Pacific and a Master of Education degree in leadership and administration from Chadron State College. Clare lives in Aurora with her incredibly cute husband and incredibly cute dog. Peggy Bryson is the choir, drama, and piano teacher at Deer Creek Middle School in Jefferson County . She is a proud alumnus of University of Northern Colorado and Metropolitan State University of Denver, receiving her Bachelor of Music Education from MSU in 2009. Peggy has been teaching in the public schools since 2010, acting as the choral director in Mapleton Public Schools from 2010 to 2014, and is beginning her third year in Jefferson County Public Schools and Deer Creek Middle School. Prior to teaching in the public schools, she taught piano and voice privately for 19 years, and directed children’s choirs and musical theatre programs. Peggy also has 28 years of experience as a choral accompanist. ﻿​Joseph Perron is the Vocal Music Director at Lesher Middle School in Poudre School District, Fort Collins (since 2017). He has taught previously at the Middle and Elementary levels in Colorado and Alaska and holds degrees from Concordia College in Moorhead, MN (B.M. Vocal Music Education) and DePaul University in Chicago, IL (M.M. Vocal Performance). Joseph is an active opera singer along the Front Range when he is not working with his amazing and talented middle school students. Go Vikings! ​Michelle White is currently the middle school choir director at Sterling Middle School in Sterling, Colorado. Here she teaches 6th, 7th, and 8th grade choirs, show choir, a'cappella jazz choir, and general music. She is in her third year of teaching, all of which have been spent in Sterling. She graduated with a BA from Adams State University in 2015 and is currently working on her Masters in Music Education and Kodaly levels at Colorado State University in Fort Collins, Colorado. Karen Lange is the music specialist at Morton Elementary School. She received her B.A. in Music Education from Adams State College in 2003 and her M.M. in Conducting from the University of Northern Colorado in 2012. While at the University of Northern Colorado she worked with esteemed groups, such as the Men’s Glee Club and the chamber choir. Karen has been teaching in public schools since 2004, including: Pueblo Central High School, Corwin Middle School, Sierra Vista Elementary School, Pueblo Academy of Arts, and Morton Elementary School. She also served as Assistant Creative Director of the Pueblo Choral Society for 5 years and has been performing with the Colorado Springs Chorale since 2016. Kelly Carmichael graduated from the University of Northern Colorado with a degree in music education. She began her education career in 2016 at Challenger Middle School in Academy District 20, where she teaches today. Miss Carmichael has been a CMASC board member since 2016 and currently holds the position of Govenor (Colorado Springs/District 5), and sound and equipment liaison. Miss Carmichael has a strong passion for middle school choral music and middle school students. She loves being able to work with wonderful board members and students who share her passion for music. Scott earned his Bachelors in Music Education with an instrumental emphasis in 1977 and a Masters in Music Education in 1984 at UNC. He then moved to the Grand Valley, where he taught at local middle and high schools for 30 years. In 2003, his seventh grade choir was chosen to perform at CMEA. In the spring of 2014 he retired from teaching orchestra and choir at Redlands Middle School. Scott performs as a trumpeter with numerous groups in the area, and sings and plays the guitar with his jazz quartet, Hot Tub Jazz. For 17 years, Scott sang tenor with the madrigal group, the Revelers. He has been conducting with High Desert Opera since the summer of 2008. Besides music, Scott’s hobbies include exercise and dancing the Argentine Tango with his wife Alice. 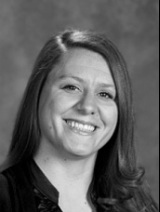 Vicky Chiles is presently the Director of Choirs and Music Department Head at Sabin Middle School in Colorado Springs School District 11. She has 33 years experience in teaching kindergarten through high school age students in chamber choir, show choir, acappella ensemble, musical theatre, marching band, concert band, jazz band, flag corps, cheer leading, guitar, and general music. She directs the BARK squad student government activities at Sabin, is an active supporter and participating director of the D-11 honor choir program, performs as a praise and worship leader in Colorado Springs and teaches private lessons. Additionally, Vicky has served as guest Honor Choir clinician several times for various Colorado school districts. Her mission has always been to give her students a sense of belonging and a place to thrive through music. Vicky holds two Bachelor degrees - in vocal music and instrumental music - from Missouri Western State University and a Masters of Education (principal ship) from Regis University. She is excited about her first year as a CMASC Governor and looks forward to the opportunity and challenges associated with her appointment. Please contact a Co-Chair with questions. Are you in District 6? Would you like to join our board and serve the students of Colorado? Please let us know! 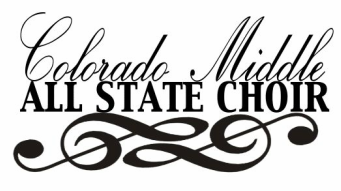 Choir Director at Glenwood Springs High School, Roaring Fork High School and Glenwood Springs Middle School. Shanti Gruber received her B.A. in Music Education K-12, with an emphasis in Voice and Piano, at the University of Northern Colorado. Ms. Gruber is in her 9th year teaching in the Roaring Fork School District where she has taught Concert Band, Jazz Band, Music Theory, Guitar, Choir, and Drama. She is a director for the Aspen Music festivals Maroon Bel Canto Children’s Choir, JAS Aspen Snowmass Pays to Play Teacher, and the Choir Director at 3 schools in the RE-1 school district. Larisa Somers received her Bachelors of Music Education and Masters in Choral Conducting from the University of Northern Colorado. Upon completing her undergraduate degree, she taught in Colorado Springs in Widefield School District #3. While there, she taught K-5 elementary general music, middle school choir, guitar, orchestra, drama, and coached high school marching band. Larisa currently teaches choir at Mead Middle School in the St. Vrain Valley School District. In addition to teaching in the public schools, Larisa works for the Boulder Chorale as the Assistant Artistic Director and maintains a private flute and voice studio. Previously, she served as an interim director for the Boulder Children’s Chorale, played flute in the Rocky Mountain Wind Symphony in Colorado Springs, and partnered with the Colorado Springs Children’s Chorale through their Adopt-a-School program. She was a founding member of the Colorado Elementary All-State Choir Board and currently serves on the Colorado Middle All State Choir Board. Are you unsure who your District Governor is? Please find your district number on ​this page!